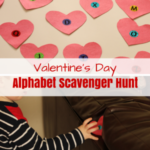 This shamrock alphabet scavenger hunt was so much fun! 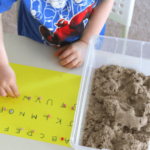 It was a simple way to teach letter recognition and letter sounds and even develop observation skills. Evan is super excited about scavenger hunts right now! 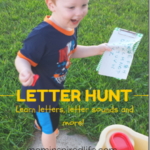 Last week we did this name scavenger hunt and he absolutely loved it. He asked me to play it over and over again. So when I told him we were going to do another scavenger hunt, he was very happy. 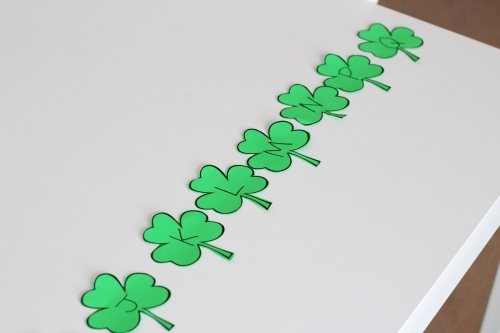 Shamrocks – I printed a page of shamrocks (found on this web page) onto green paper and then cut them out. 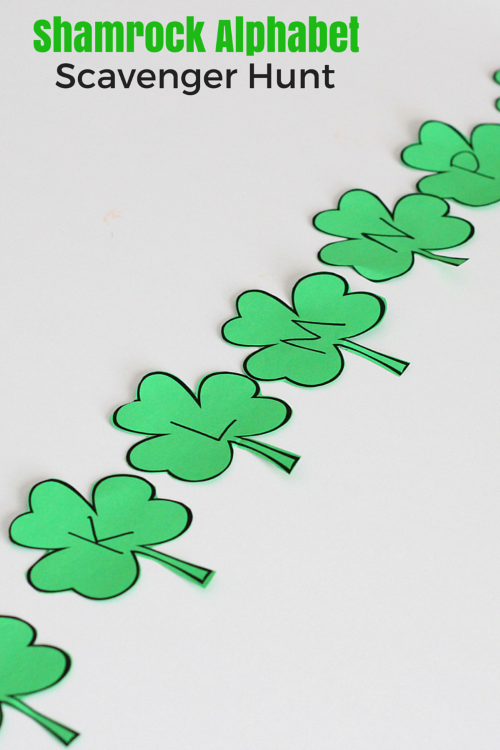 Dollar stores often have foam shamrocks you could use too. 1. 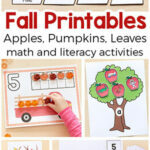 Write any letters you would like to teach or review with your child on the shamrocks. 2. Hide the shamrocks around your house. 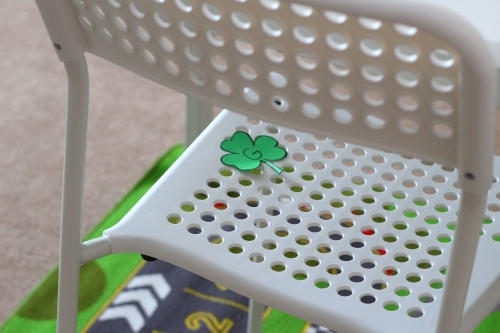 Invite your child to search around the house to find the hidden shamrocks. 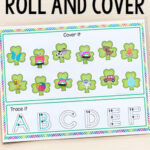 When a shamrock is found, ask your child what letter is on it. 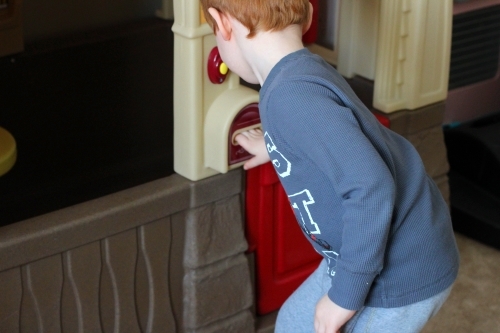 If you have just started teaching your child to identify letters, you can simply say things like “Wow, you found the letter A” or “I hid that letter C really well, but you still found it!” I like to just mention the letters in normal discussion. 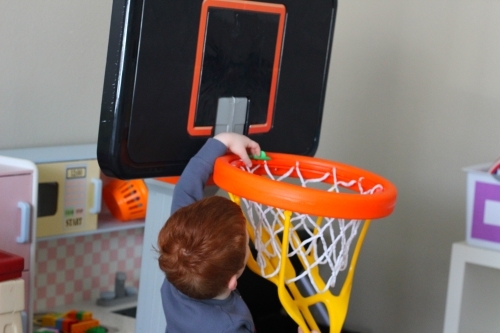 You will be surprised by how much your child will retain when you do it this way. Sometimes, I mention the sound the letter makes or ask my son what sound he thinks that letter makes as well. 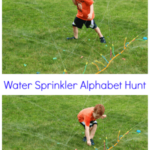 This activity was another hit with Evan. Just like last time, he asked me to play it again and again. He even asked me to hide them better and make it more difficult for him to find them. This resulted in me forgetting where I put one and us spending 20 or so minutes searching everywhere to find it. We even had to request the help of my husband. In the end, I was able to find the missing shamrock, which is a good thing because Evan was not going to let us move on until we found it! Here are some related posts I think you may enjoy!